Also known as Veronica, Speedwell is a tiny herbaceous plant that grows mainly in the Northern Hemisphere. There are several types of Speedwell, all with numerous small, lobed leaves and small flowers, which vary in the color and can be white, blue, pink, and purple. The leaves grow in pairs and have scalloped edges, while heart-shaped seed pods grow on the stem below the flowers. Speedwell can be either perennial or annual, and appears in early spring but can begin greening up in late winter. Most speedwell is characterized by creeping growth with rooting at the nodes, with small flowers on short stalks. Speedwell can grow in almost any condition but thrives in dry, sandy, and shady areas. If you are looking to plant speedwell as a ground cover, make sure to choose a variety that stays close to the ground and only reaches 10 inches tall. If you are planting for personal use, it is easy to grow, and this variety can reach up to three feet tall. 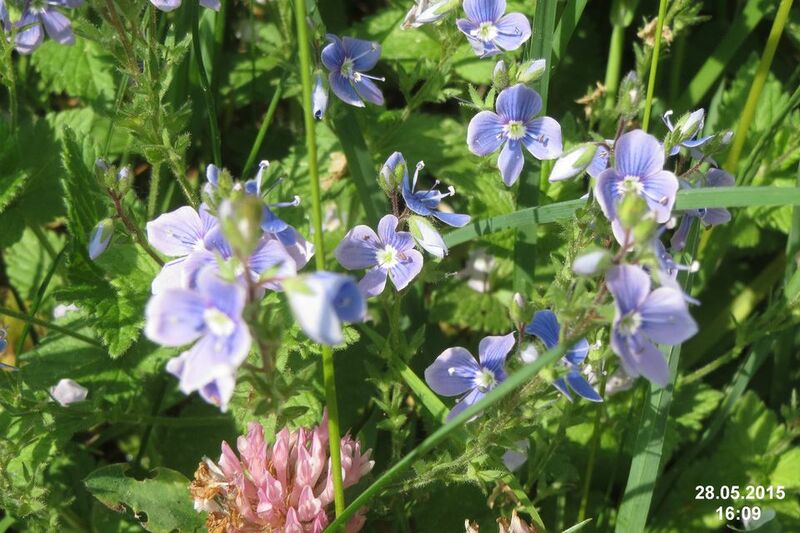 Speedwell does best when it is grown in fertile and well-drained soil with natural sunshine. Typically, planters choose spring as the season to plant speedwell; however, Veronica can be sowed by seed in a container with a cold frame during the fall season. Planters break up the soil where the Speedwell is to be planted and mix in the compost. Then they create a hole that is about double the size of the speedwell's container. The plant is placed inside of the hole, making sure that the highest point of the root ball is at the same level as the soil surface. Caring for speedwell can be done easily when certain things are kept in mind. In summer, it is important to water speedwell on a weekly basis when the rain is less than an inch. You also want to make sure your speedwell is covered with a layer of compost and mulch to keep in the moisture. Removing the faded spikes from Veronica is recommended to create the best bloom, and when speedwell is exceptionally tall, maintenance may call for staking. In the colder periods between late fall and early winter, you will want to cut back the stems to one inch or above ground level. Throughout the United States, several speedwell species tend to differ in appearance, but they all can take over your lawn. Not to worry — you can take control of your common weeds with certain methods and techniques. One way is to encourage optimum turf growth conditions by applying fertilizer in late fall to avoid the initial flush of growth associated with early spring fertilizing. You can also take off the flower heads before the flowers bloom. If you prefer, you can control speedwell with chemicals by applying a pre-emergent herbicide like pendimethalin, balan, or dacthal to prevent seed germination in the spring. You can also spot-spray with a post-emergent broadleaf herbicide containing triclopyr, clopyralid, or 2,4-D, MCPP, and dicamba.